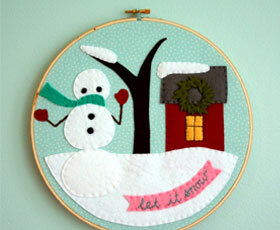 I love the embroidered and appliqued scenes that Melissa of Checkout Girl’s creates. Their color, detail and design make them so much fun. Now she’s sharing a tutorial for how to create your own embroidered and appliqued scene perfect for the winter holidays. 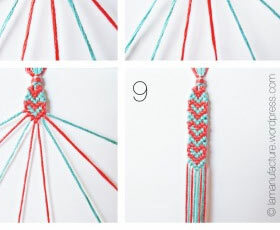 Growing up, I spent countless hours making colorful friendship bracelets. Their resurgence prompted me to rediscover this summer pastime. Here are instructions for one of my favorite patterns – hearts! 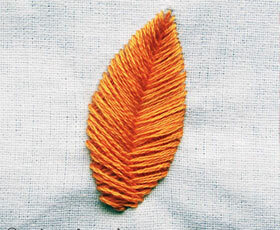 You will need embroidery thread in two colors.